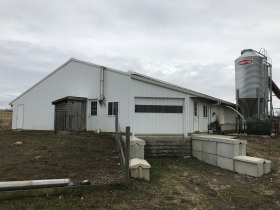 Location: 6882 County Road 22 Fredericktown, Ohio 43019. From Fredericktown Ohio take Waterford Rd northwest (becomes CR 22 in Morrow County) approx. 11 miles to location. From Mt Gilead take US 42 northeast 6 miles to CR 22 east 2 miles to location. GPS Coordinates are 40.557624,-82.687205 Signs posted. Open House: Thursday January 17, 3:00- 5:00 p.m. 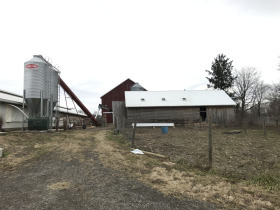 Here is an opportunity to invest in an excellent certified organic 52.6 acre farm in Eastern Morrow County. 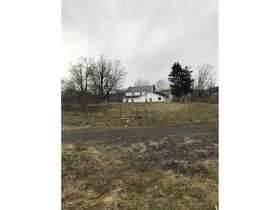 Improvements include a partially renovated 2 story farmhouse with a large kitchen, dining room and living room area, 4-5 bedrooms, 1 bath, mud room and full basement. 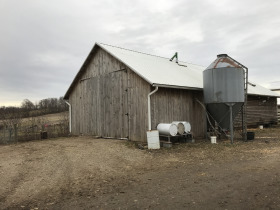 Newer Morrow County approved septic system in 2016, private water well. 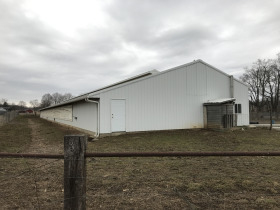 The income producing 50’x230’ layer barn was built in 2015 and features: -7,000 bird capacity -Certified Organic -Cage Free -Raised platform setup with scratch area -Turnkey operation with cooler room, conveyer system etc. Building and equipment is only 3 years old and should provide years of maintenance free operation. 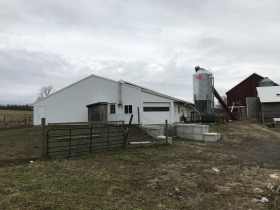 Other buildings include the good 44’x100’ bank barn, built in 2013 and has 8 box stalls and 9 tie stalls. Approx. 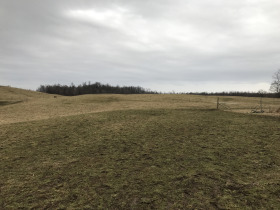 4-5 acres is wooded with the balance in hay & pasture. Good fence around most of farm. Property offers all the options of country living that you are looking for, don’t miss it! Call Jr Miller for more details. All seller owned mineral rights transfer. The farm will be offered in parcels and then combined as a complete farm, sells whichever way nets the most for sellers. 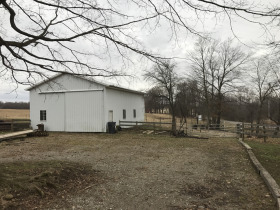 Parcel 1: 10 acres with home, layer house and all the buildings. Has approx. 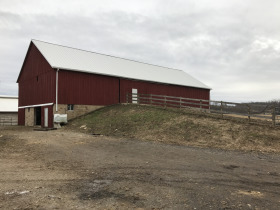 422’ of frontage on CR 22. Mostly open land. Terms on Real Estate: 10% nonrefundable down payment made day of auction. Balance due at closing. Any required inspection must be completed prior to bidding. Acreage and frontages, including lot markers, are approximate and are subject to final survey. Announcements day of sale take precedence over all advertising and statements.